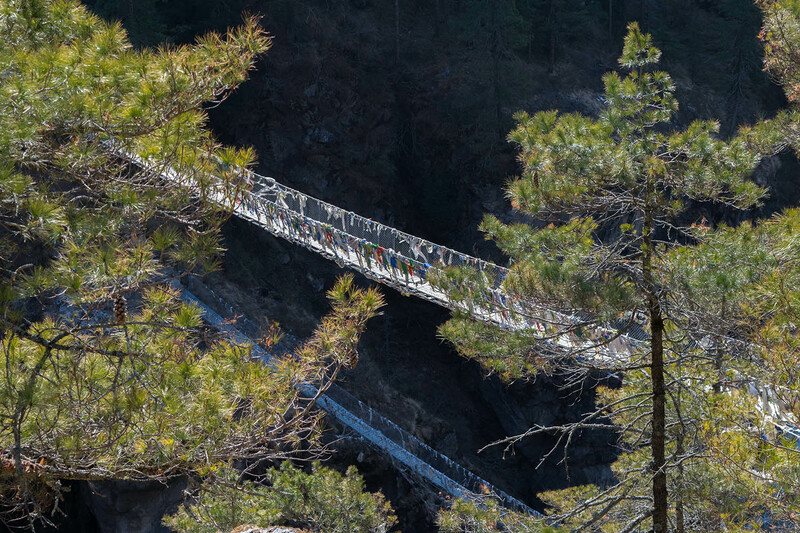 to trek to Everest Base Camp? Distance: 80 Miles round trip. No guide. No Porter. No Mercy. Doing this trek alone will push you to the limits of your solo situational, navigational and adaptation skills. Once you get to Kathmandu, finding a place to stay until your morning Lukla flight is a challenge, as well as dealing with taxi men and the nefarious con-artists outside the airport. 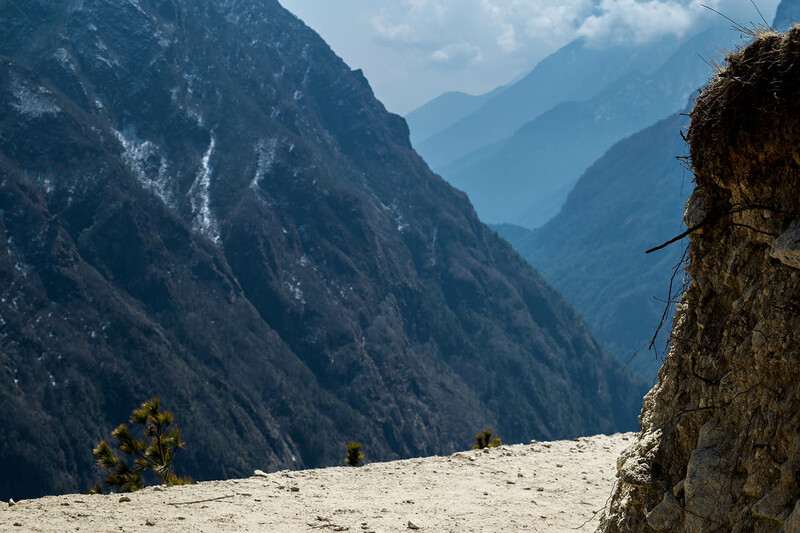 Once you land at LUK and take the first step of your 40 mile (one way) journey to the top of the world you begin the fight against altitude sickness and starvation. Each day you wake at dawn, tired from a night of little rest because the last 7 hours you were fighting for warmth and oxygen, not to mention you hiked for 10 hours straight yesterday and all you ate was a bowl of rice because you're too altitude sick and you have no appetite. The thing is though, although this will be one of the hardest things you ever do, it will also be one of the greatest, and most personally defining adventures of your life. You will grow more spiritually and emotionally as a person in these two weeks than you would in two years in the regular, desk-job world. There is literally nothing on Earth like hiking alongside the tallest mountains on the planet and being solely responsible for whether or not you live or die. (Okay, I'm being dramatic again, someone would probably find you, throw you on a yak, and carry you to a make-shift doctor's office.) But you get my point. If you have not been scared off yet, let's get to the good stuff. Here is my story, advice and insight for how to trek to mount Everest base camp, without a guide, and without a porter...Alone. This trip is going to take a lot of planing and preparation. Just getting to Kathmandu is going to be very hard logistically (at least it was for me coming from America). Planning out your flight routes, and then adapting for when airport situations don't go as planned is gonna be tough. A few months ahead of time you should also figure out and start collecting the things you're gonna need to pack along with you in your backpack. “What do I need to bring?” Probably the most important question I asked myself before I left for my journey to Everest. If you’re anything like me, you’re a visual learner, so here’s a picture of everything I was shoving in my backpack the night before my flight. 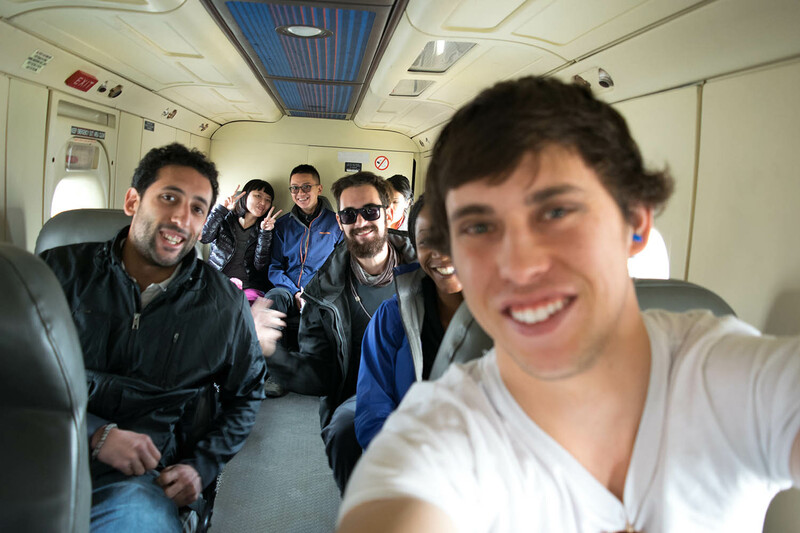 Side note - I Landed in Lukla and started my trek Friday the 13th, of March. 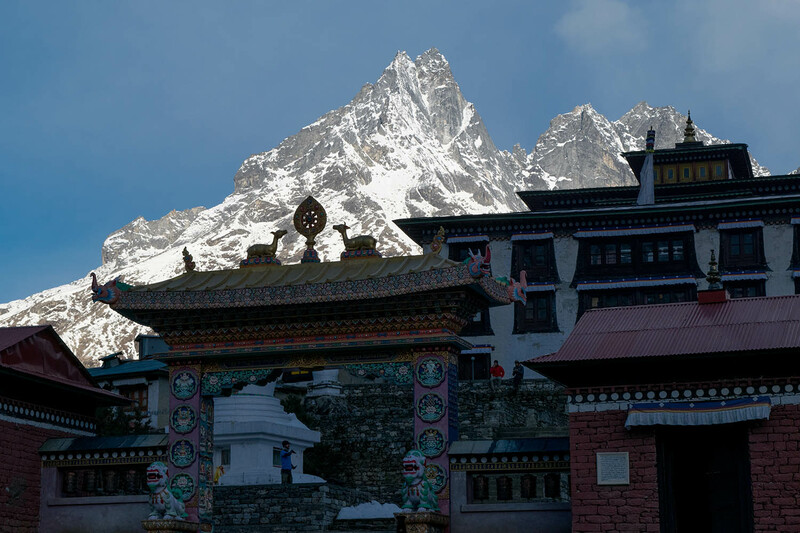 Sagarmatha national park permit: $30 USD, obtained as you enter the park after you hike out of Lukla. Here’s my post about the visa and permits. Crossed out items are things I didn't take in order to save weight. Do not bring ANYTHING you do not absolutely need. With all the stuff you do need for super long hike like this, there is absolutely no room to bring anything that is non-essential. Ounces equal pounds, and pounds equal pain. 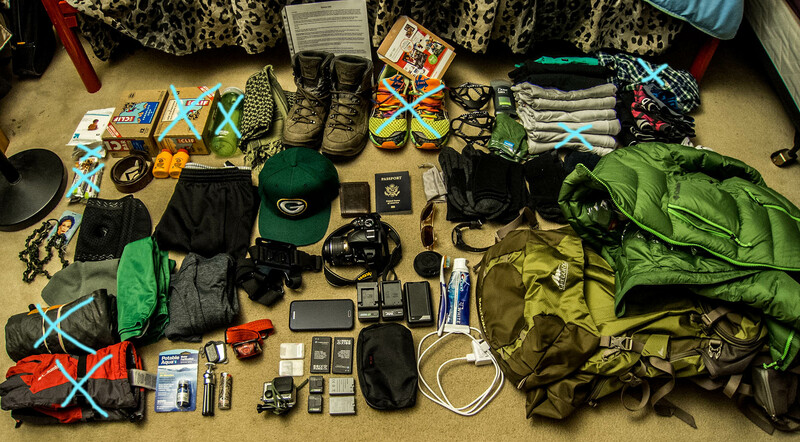 Your pack is going to be heavy, so spare anything you can to make the trip easier on yourself. I would also recommend getting a quality pack with good hip straps to help ease the weight load. The time I got altitude sick, and almost didn't wake up. 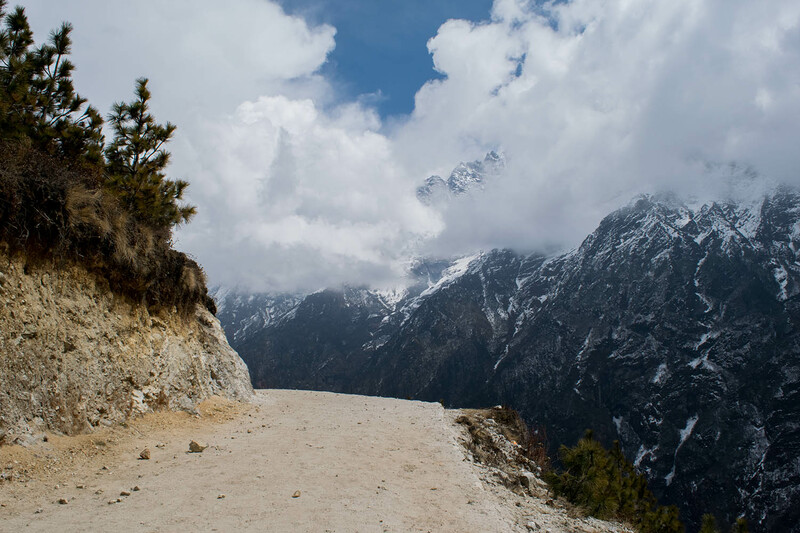 How far is it from Lukla to Everest Base Camp? 38.58 miles or 62.1 kilometers one way. 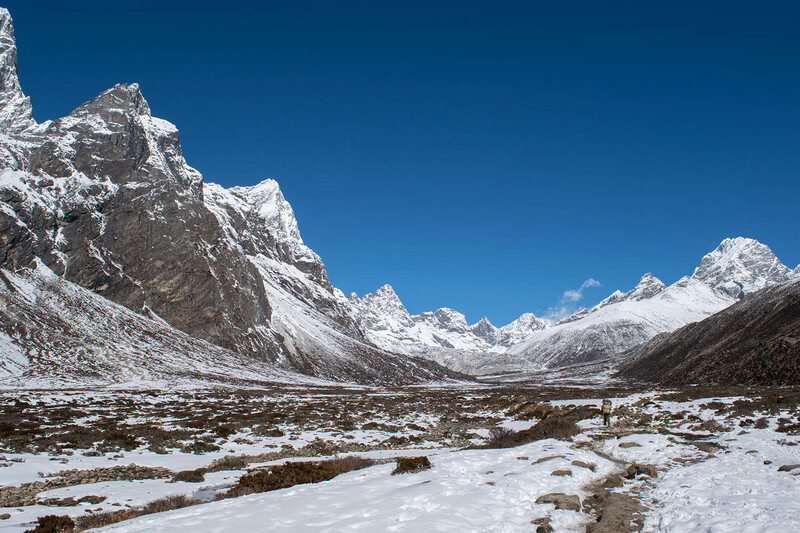 How many Miles/Kilometers is Everest Base Camp Trek? 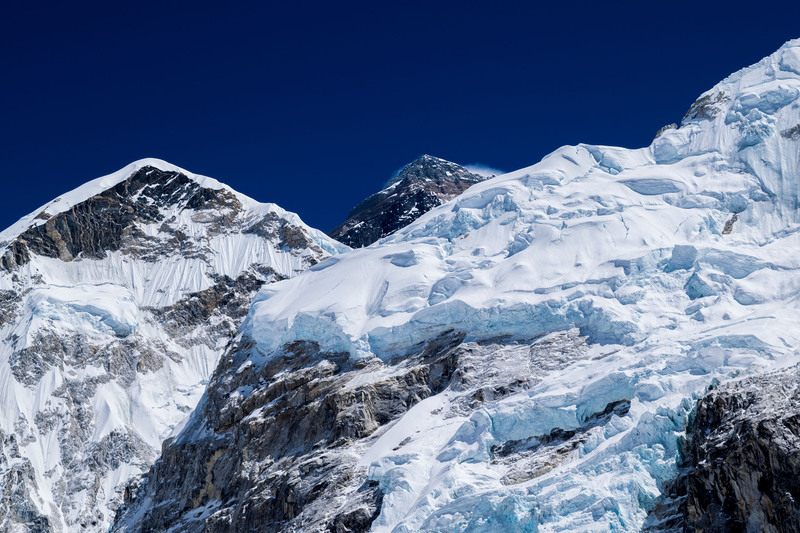 How long/how many days does it take to climb/hike to Everest base camp? 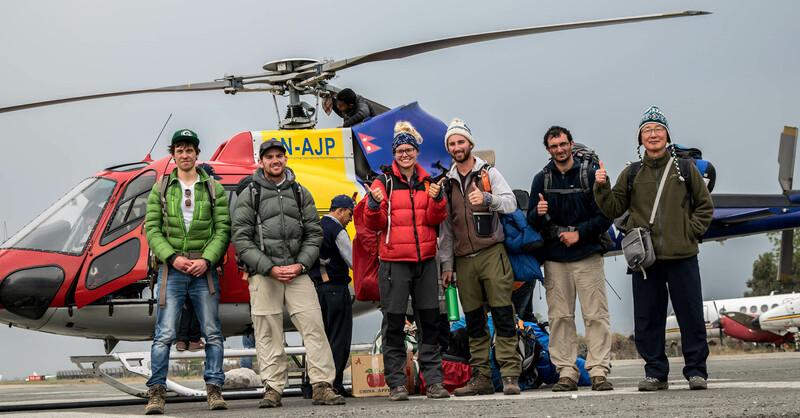 From Lukla it takes anywhere between 9 and 20+ days to reach base camp and come back down. It depends on how many rest days you take, how athletically in shape you are, and whether or not you get altitude sick, and if you push through it or not. I will tell you that for a super in-shape and fit person it is literally impossible to do it in less than 8 days unless you have no pack, and are actually tying to set some type of record. 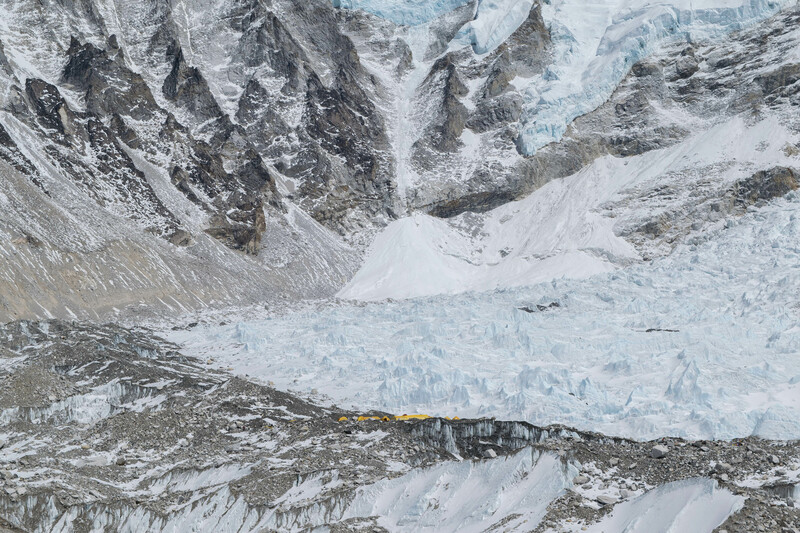 Is the mount Everest base camp trek dangerous? 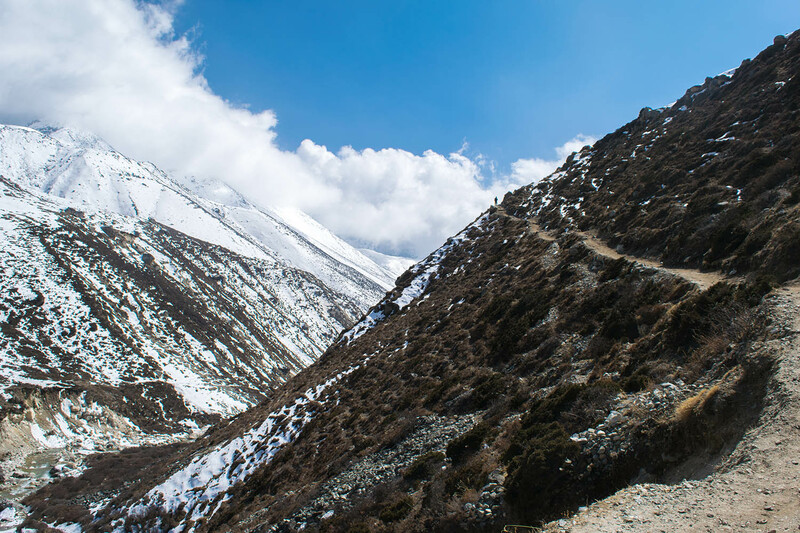 There are some places where you could slip off some steep cliffs and be carried off by a snow leopard, but for the most part, your biggest health/safety concern is going to be altitude sickness. If you're going slow and taking rest days, this probably won't be much of an issue for you, but if you're going fast, and gaining altitude quickly over short periods of time, this is definitely something you should monitor. I took some kind of self assessment checklist thing at this medical/doctor's tent in one of the villages and I had almost all of the symptoms, like 6 or 8, and you're supposed to turn back and descend altitude if you have 2 or 3 symptoms. Yes. It can lead to High-altitude pulmonary edema (HAPE) where your lungs fill with fluid, or High-altitude cerebral edema (HACE) where your brain swells with fluid. If HACE is left untreated, people usually die within 48 hours. If you take rest days and go slow, you should be fine, but make sure to do your research and educate yourself on these topics. When does the altitude start getting noticeably difficult? It is noticeable when you start ascending a mountain valley on your second morning out of Lukla. Noticeable but not terribly difficult. Once you start getting past 14,000 feet is when everything starts to get a lot harder, and kind of exponentially increases from then on. If you've ever tried to walk through the snow at the top of a ski lift in Colorado, that is around what 14,000 feet feels like, but here you have a 30-40 pound pack on, and you're hiking 8-10 hours a day - and 14,000 feet is easy compared to 15, 16, 17,18,000 feet where it starts to get really hard. The good news is that it is a hundred times easier on the way down (on your lungs and heart but not on your knees) On the way down you don't even notice the altitude because every step is taking you lower, and giving you more dense air to breath. You can cruise on the way down. 9,380 feet or 2,859 meters. 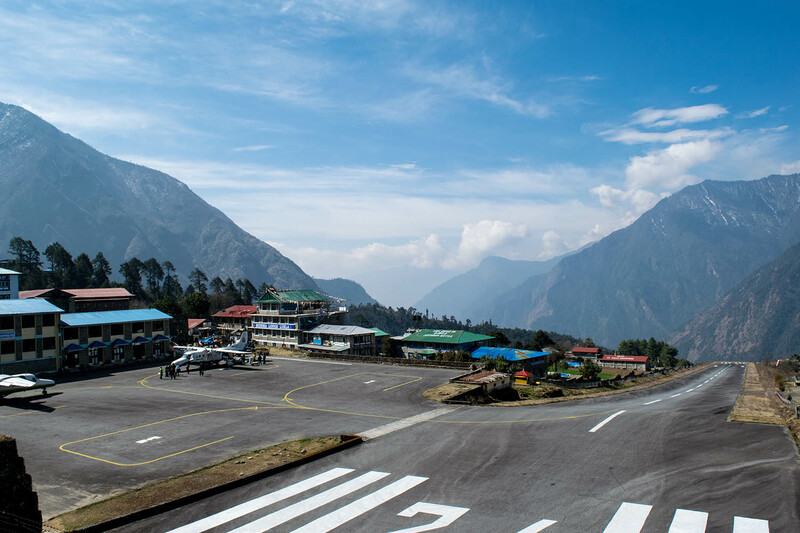 How long is the flight from Kathmandu (KTM) to Lukla (LUK)? A little less than an hour. 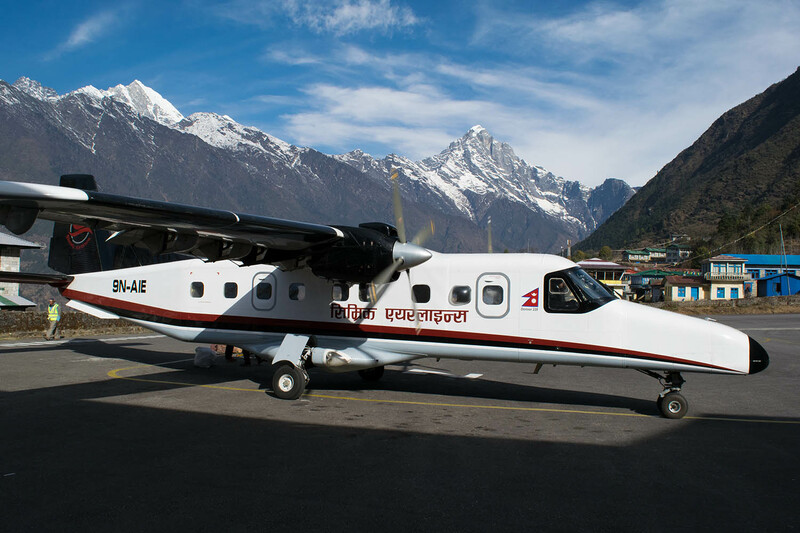 How much is the flight from Kathmandu to Lukla? Around 300 dollars round trip. I paid about $320 USD for my tickets the night before I left for Lukla when I arrived in Kathmandu. 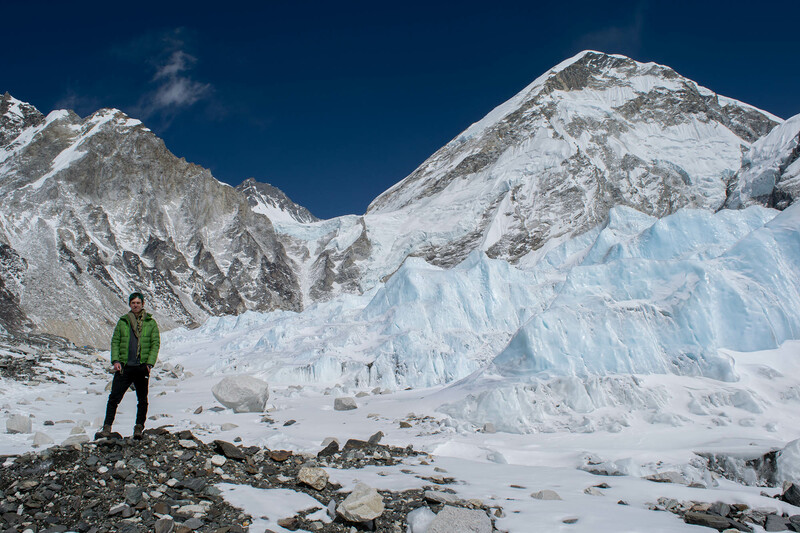 Can you hike to Everest Base Camp alone? 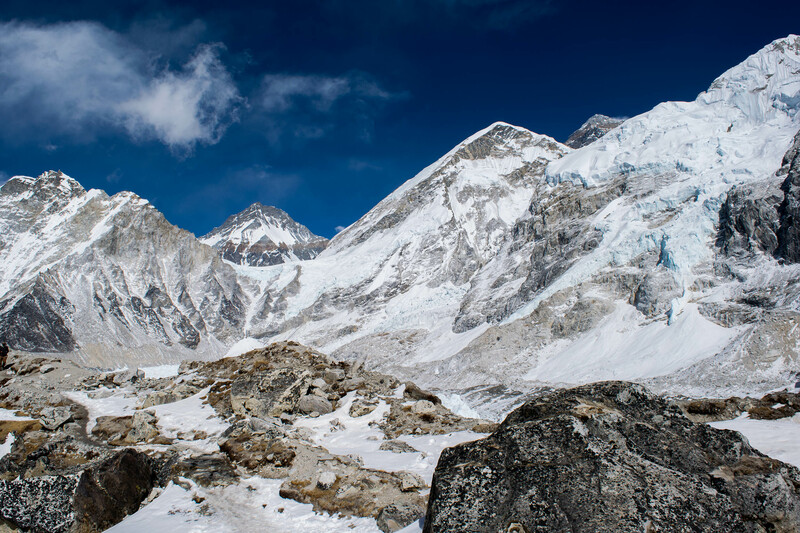 Do you need a guide or a porter to hike to Everest Base Camp? 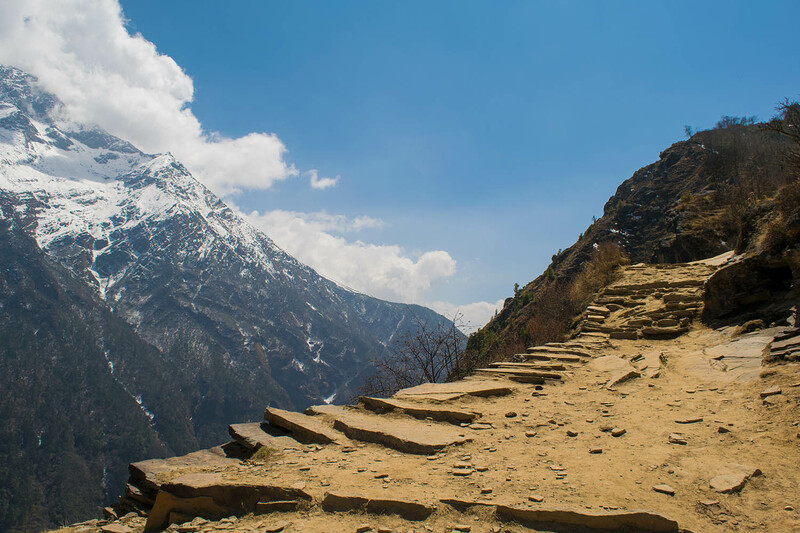 You can hike to Everest Base Camp alone. You do not need a guide or a porter and one is not required by any law or regulation. 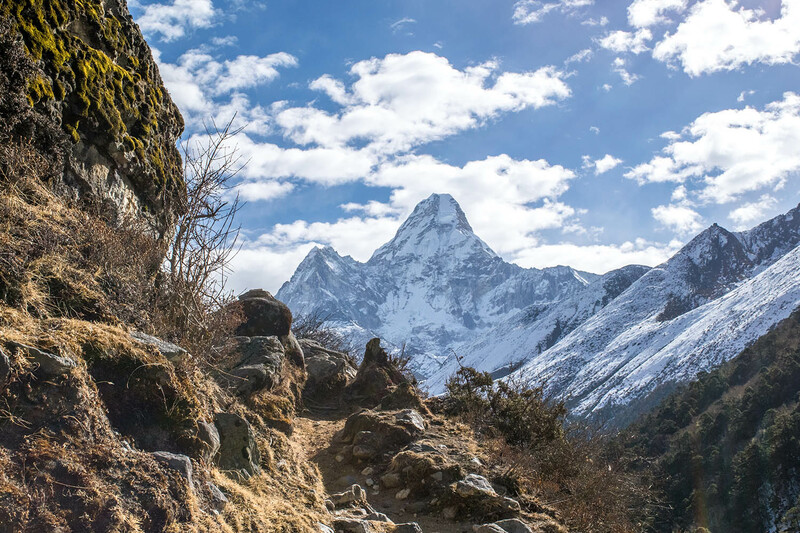 When is the best time to hike to Everest Base Camp? I would prefer exactly when I went in the spring. There is hardly anyone on the trail (you are alone often), the mountains and surroundings are still covered in beautiful snow (when you get up high enough) and you can be almost alone at base camp. In one of my pictures you'll see that when I was at BC, there was only like 5 tents set up, and nobody was there. 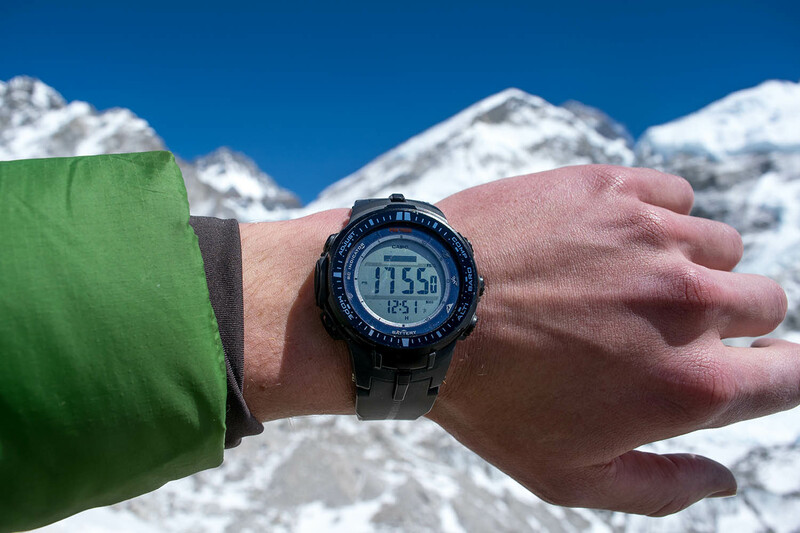 How many days did it take you/Kevin to get to Everest Base camp and back? It took me 6 days to get up to base camp, and then 3 to get back down. Was your pace a normal pace? No. Almost no one does it this fast and I would definitely recommend taking it easier on yourself. To do this pace I hiked for 10 hours a day some days, non stop, eating cliff bars on the trail, and eating only breakfast and supper if I wasn't too altitude sick and actually had an appetite. On the way back, down from Everest, I hiked deep into the night on my last day to get to Lukla to fly out in the morning. My legs and knees were completely destroyed, (they felt like I did a thousand squats the night before) I dragged myself down the cliff faces, and across the rope bridges after the sun set, with only the light from my glowing headlamp. Lost the trail a couple times in the darkness, had to retrace my steps, and then finally got to a tea house to sleep. Did you get altitude sick? 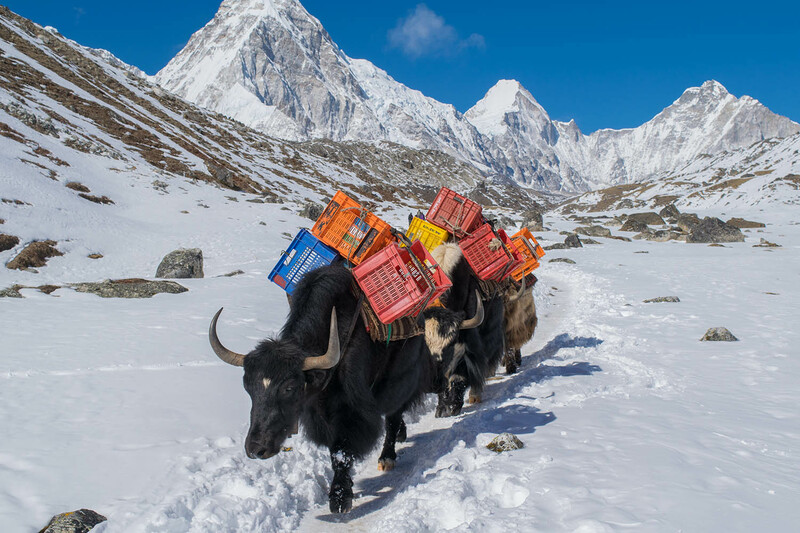 How cold is it on the Everest Base Camp trail? 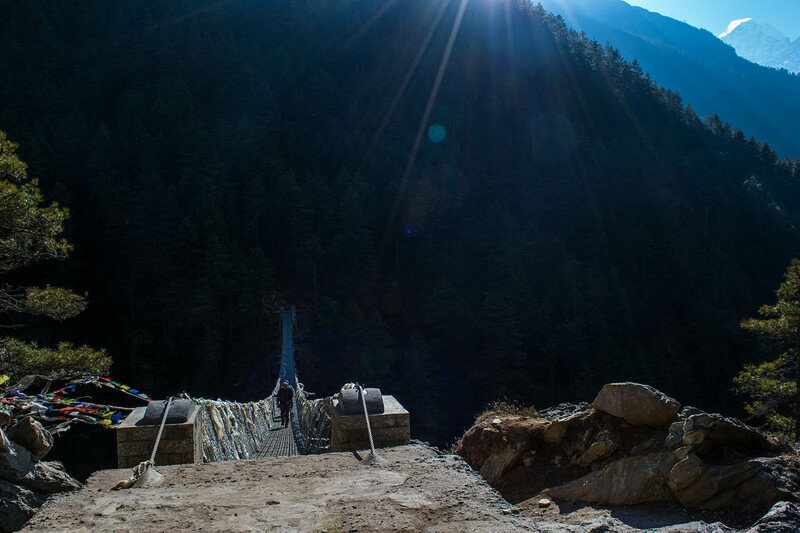 Starting at Lukla, I was immediatly sweating and switched to shorts and a T-shirt. I wore this for the next couple days, then switched to a very light long-sleeve shirt, not because I was cold, but because I was getting too sunburned. 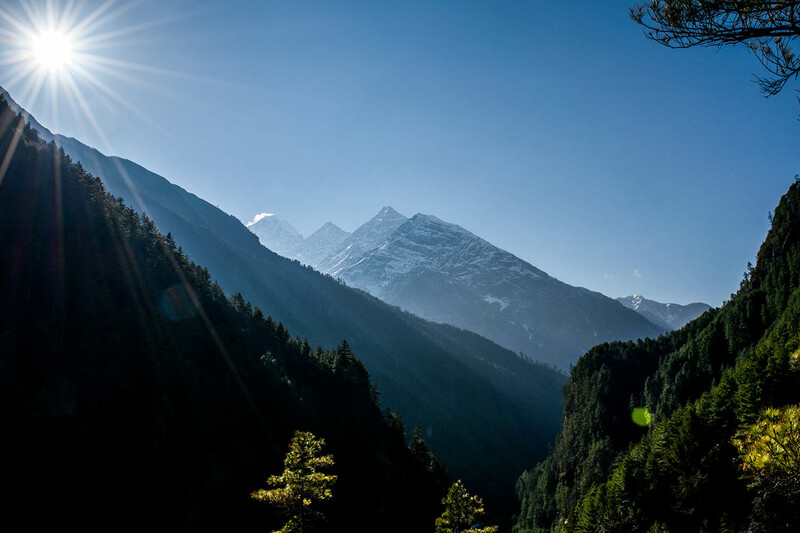 Once I woke up in Tengboche, early in the morning before the sun I needed my down jacket and then took it off after the sun rose. Once the wind started blowing later that day I needed that jacket again and put on some light sweat pants. This was the most I ever wore on the trip, sweat pants and my down jacket and that was enough to keep me totally warm (except for at night which I'll Explain below) -Side note, I come from Wisconsin where it is often below zero Fahrenheit (-20 C) and I used to work outside all winter so I may be more used to the cold than you might be. 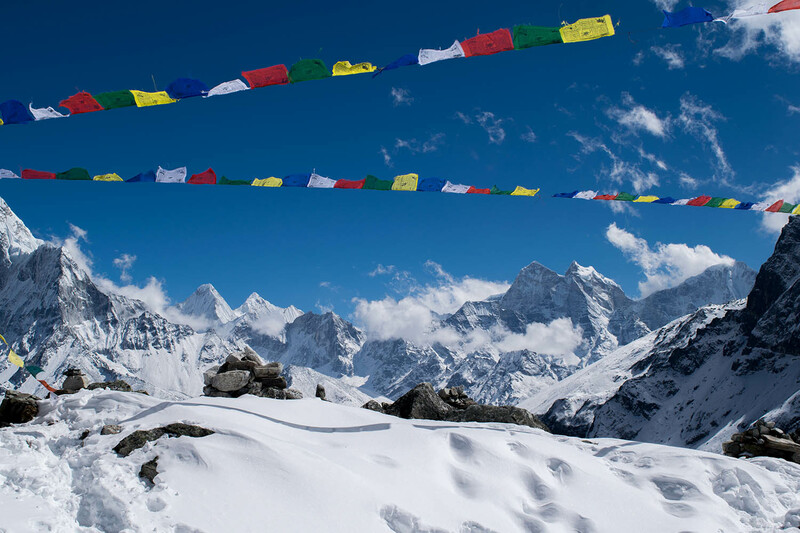 Even at Everest base camp, it's not that cold if you have good sunny weather. How cold is it at night in the tea houses when you are trying to sleep, at high altitudes, in the beginning of March? Freezing... Like I said, I am used to the cold, in my college house in Milwaukee we would leave the heat off half the winter to save money, and walk around the house with jackets and gloves on. 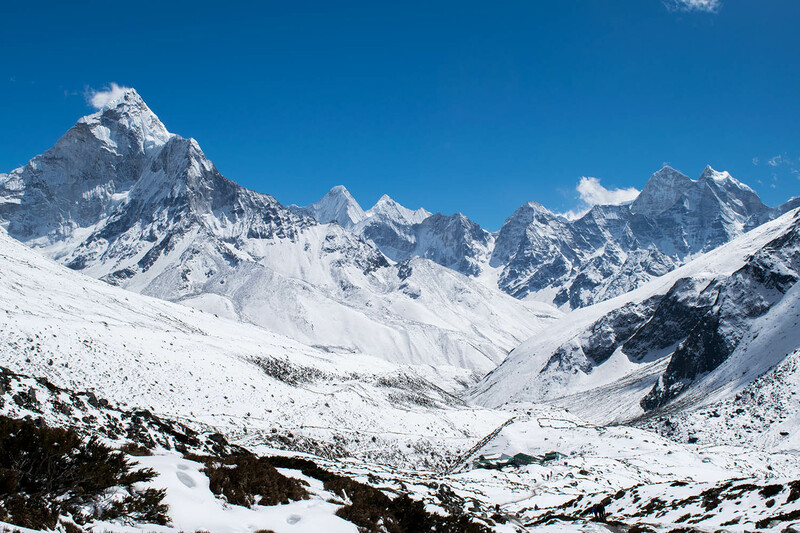 But sleeping at high altitudes in early March, in the Himalayas is a whole 'nother level of cold. Not terribly cold at the lower levels of the EBC trail, but once you get up there... I would go to sleep with my down jacket on, my pants and socks on, a hat on, and a scarf over my face. Cold frozen breath would billow out of your mouth, like a Packer player on Lambeau field in January. It was freezing. I purposely didn't bring my sleeping bag to save weight and space in my pack, if you have one it might save you. I relied on the kindness of the tea house owner to let me use a blanket or 2.